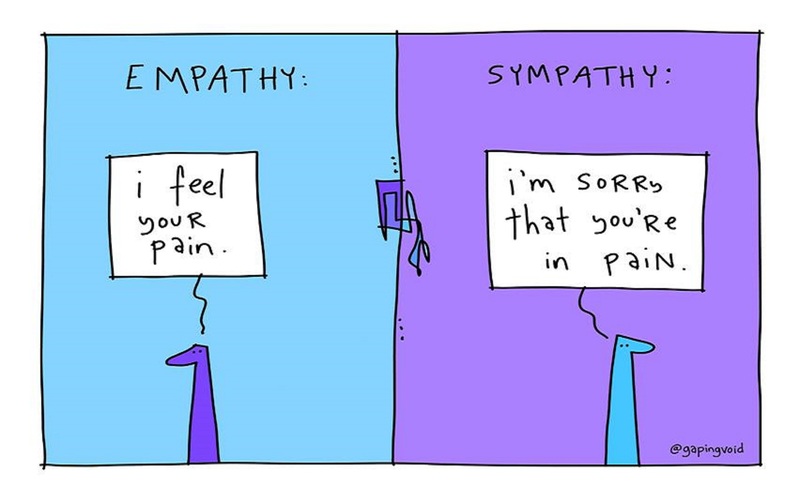 We hear the words ‘empathy‘ and ‘sympathy‘ a lot. They are both used all the time, and sometimes not correctly. So whats the difference? Sympathy means that you can see that the other person is struggling, and you acknowledge it, but you don’t really understand it. Empathy means you have a real understanding of what someone is going through, and you share in their pain. Check out this really cute video by Brené Brown where she describes both beautifully…. 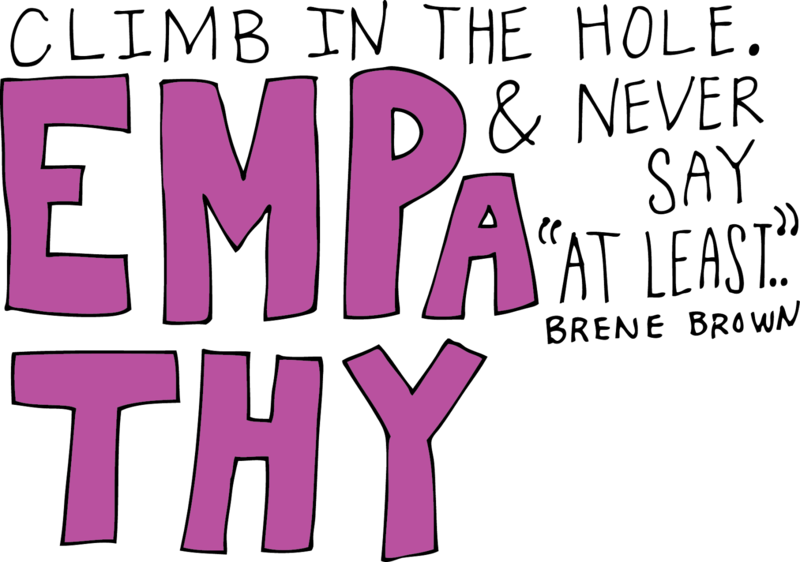 We all want to be more empathetic. Unless you’ve had the same experience as someone, its hard to really understand. If your friend is heartbroken, you don’t get it if you’ve never spent a night ugly crying whilst mainlining Ben & Jerrys. If your brother is slide tackled in a county final and breaks his leg, you won’t understand unless you invite that same brute to replicate his moves on you. So how do you make sure that you are showing empathy? Don’t focus on the cause of the feelings, they almost don’t matter, just focus on the feelings themselves, now, in this moment. If someone says they are sad, that’s what is hurting, and that’s why they need support. Sometimes people just feel sad, lonely, scared or anxious, so connect with that if you can. Whats the worst, most useless thing you can do? Under no circumstances, is it every okay to say “At least”. “I didn’t get the points I wanted in the leaving cert” At least you can repeat and try again! “He dumped me via text” At least he didn’t ghost you completely! “My Mom and Dad are breaking up.” At least you have a Mom and Dad. “I had an anxiety attack at school today.” That’s nothing, my friend had 3 last week! Pity and sympathy cause a disconnect between people, because you’re basically watching someone suffer from a place of comfort. Its like throwing money at a homeless person whilst avoiding eye contact. Empathy allows people to connect on a deeper level, like sitting with that homeless person for 5 minutes and hearing their story so you understand.